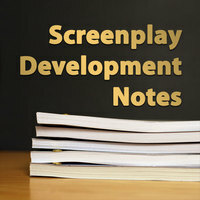 The Writers Store Screenplay Development Notes have moved to our new service ScriptXpert Screenplay and Television Coverage. Please click here to place your order. Polish your screenplay with a professional analysis! You've passed your script around to your buddies. You've let your mom take a look at it. Maybe you've even brought it to a writer's group. While feedback from friends and family is great, it simply can't compare to an unbiased critique from a seasoned professional. Discover the difference an expert reading of your script makes with Screenplay Development Notes, directly from readers currently working in the Industry! Honest and insightful, our readers have years of experience working for high-profile producers, production companies and screenwriting contests, and are trained to spot exactly what the studios seek in a spec script. 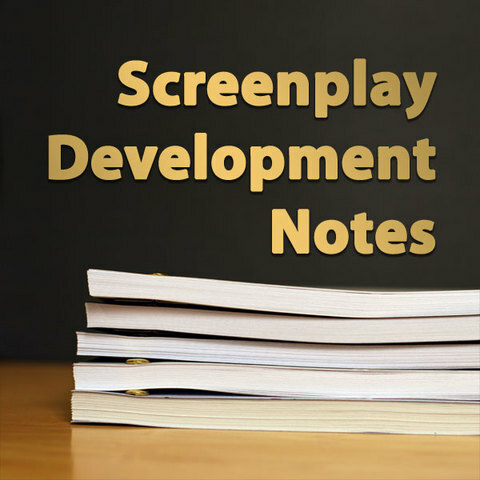 With our Screenplay Development Notes, you get invaluable feedback on your Feature Film, Movie-of-the-Week or Television script, in a format that mirrors the same process occurring in the studio ranks. Plus, we have numbers of satisfied screenwriters who are more than happy to talk about their experiences with our Screenplay Development Notes and Story Coach services. Check out our testimonials page to see what your fellow writers have to say. To really get your script in fighting shape, add one-on-one Screenwriting Coaching from the Story Specialists to your order to put the feedback you get from our studio readers into action. With this package, available to add to your cart at right, you get Development Notes from a professional reader, then the opportunity to take these notes and your script to one of our Story Specialists, who will go over the reader’s input with you, and help you fix your script and get it to a saleable level. Add this item to your cart (and the Screenwriting Coaching from the Story Specialists, if desired) and proceed through checkout. Read the document titled “Important-Instructions-Regarding-Your-Development-Notes”, which will be presented on the Order Completion page. You may also access this document from your Order History page within your account. Send your project to our team for an expert analysis. Creative Screenwriting magazine gives The Writers Store's Development Notes a perfect 5.0 score in their Independent Survey. All employees of The Writers Store, Inc. have signed a stringent and comprehensive non-disclosure and confidentiality agreement. You can rest assured that your material and conversations will not be shared with anyone. As an additional measure of protection for both you and your Story Specialist we highly recommend registering your work with The Writers Guild of America and/or the U.S. Copyright office. If you have any questions, please call a Story Specialist at 800 272-8927.